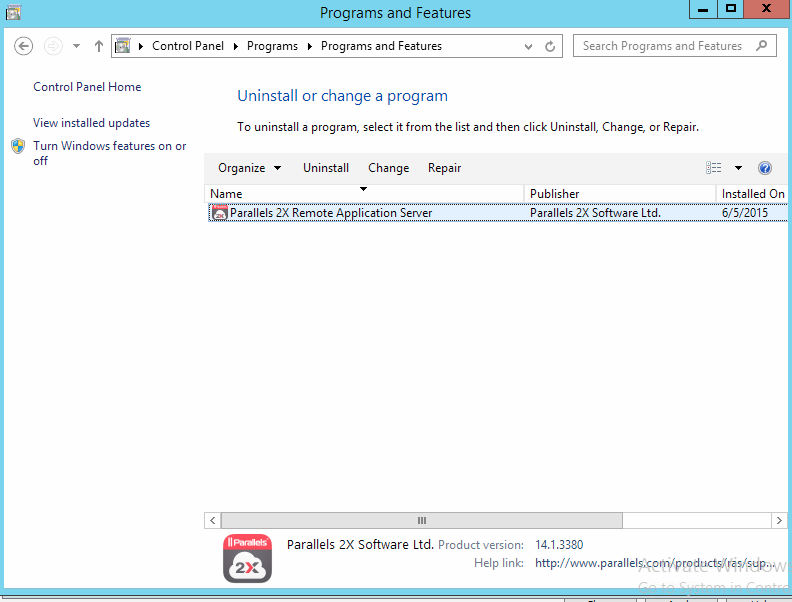 How to uninstall Remote Application Server? 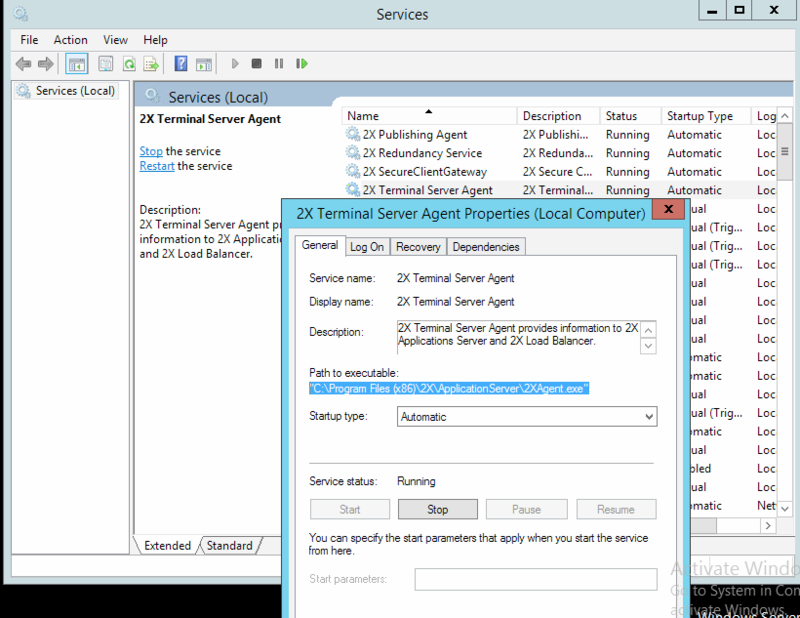 How to uninstall Remote Application Server completely? Reboot Windows Server to apply the changes. 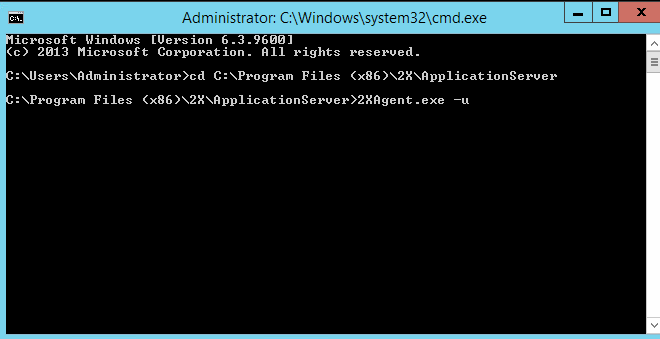 Take note of the path and name of the executable, for example: "C:\Program Files (x86)\2X\ApplicationServer\2XAgent.exe"
This will uninstall the service.